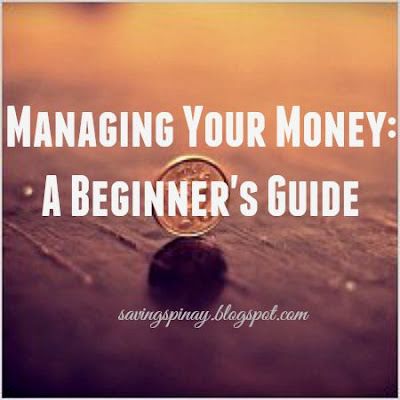 A struggle that most of us can relate to is how hard it is to manage our money. You may come to this blog of mine to find answers and inspirations about financial management but to tell you honestly, it is still something that I’ve been struggling to perfect. It takes time and financial discipline to actually be good in money. And as always, the hardest part is the beginning. I’ve seen countless posts about #relationship goals but only few actually cares to create their #financial goals in life. A clear objective about what you want your finances to be in 5 years, 10 years or 15 years for now can make a big difference in your life. Remember to set long-term goals. Save 500pesos each week to buy my ideal bag at the end of the month. READ: Financial and Personal Goals: Mid-Year Update!!! Establishing your own financial system starts with a deeper understanding in the four factors that affect your overall money. It’s a little surprising how a lot of employees don’t mind styudying their pay slips. They don’t have any idea how much their total income is. There is also a big difference between salary and income by the way. Salary is the amount you get that is paid either weekly, bi-monthly, or monthly. It’s always the same amount, regardless of the number of hours worked. It is the what’s written in your Job Offer. Income, on the other hand, is what you actually take home after all the deductions and such. You can also have multiple streams of income. A great step that you can do is to document your monthly income. I try to do this in my bullet journal and just jot down what I got as a pay day and also include my expenses. You can take note of your take-home pay and if you have additional income from your sidelines and all. If you already have a family then it would be nice to create a household budget instead. More of this topic soon. The most important factor is you know your income. You know how much money comes in your kaban. Expenses comes in two categories. The first one is fixed expenses or expenses that are non-negotiable like bills, food, transportation and so on. The other one is variable expenses which are expenses that are often necessary but can be cut off if you want like clothing, beauty items etc. Check my blog post about Budget Categories where I list down almost all expenses that one (or a family) should consider. You know the very formula that can make you the wealthiest person eve?! Yes, it is the classic Income – Savings = Expenses. Sadly, not everyone (including myself) commit to this golden rule in personal finance. Savings should be on top of your priority every pay day. It should be non-negotiable because each of us can go through challenging times in our life and this “savings” will matter a lot. No one wants to be in debt, right? Below are some Savings posts published in SavingsPinay that you can re-read. Budget can totally revolutionize your financial life. It is something you can do in 10-15 minutes of your time. If you needed a template you can drop a message at izzaglinofull@gmail.com alongside your questions about personal finance. Now creating a budget is very simple. Follow along below instructions. You can either have dedicated notebook for your budget (Read: Budget Series: Notebook Style) or a envelopes where you can separate your money for each financial category (Read: Envelope Style). Others like it digital so if you have your smart phone with you, just go to the Google Play Store or App Store and download financial apps that can help you manage your money. Our expenses differs from each other so it is just wise to spend time listing your categories. Budget categories are items where you will allocate the money with. Read the full post and information in this link: Budget Categories: A Basic Guide For Your Next Spending Plan. This is where you will spend most of your time with. You have to decide how much you will allocate for each category. I suggest taking the 50-20-30 method with this one, less tithes wherein 50% is dedicated for essential, 20% is for savings and 30% is for lifestyle. No matter how great your budget will be, commitment is the only answer that can guarantee the success of your spending plan. Have the discipline to commit to your budget on a monthly, weekly and daily basis. Be inspired by the goals you’ve set and continue to grow what you know about proper money management. I remember last year when I created two posts on things that ruin my budget that you can read HERE and HERE. I was surprised how many others can relate to the situations. Sometimes no matter how motivated you are to save there are reasons that will affect your goal big time. If your expenses exceed your income then this only means that you are in a negative financial status. You must identify the trouble spots in your expenses by selecting one item that you can adjust. Maybe you are spending too much on your lunch at work so you can start bringing baon instead. Others can save a lot if only they cut-off on these 6 Financial Traps. I hope you like this post. This is a little longer than the usual but I hope this helped a lot of you on how to manage your money as a beginner. I am no expert when it comes to finances and I do commit mistakes here and there but I believe that the every practice help me sharpen my ways. Manage your money and say goodbye to debt and uncertainty!!! Are you ready to start managing your money?